Rancho Mirage, Indian Wells, Thousand Palms, La Quinta, Claremont, Montclair, Riverside, Ontario, Upland, Cucamonga, Redlands, Corona, Las Vegas, Reno, and other locations. We provide exotic animals for any production. You can rent a monkey for a party or event or production in California, Las Vegas, San Francisco, New York, and New Jersey. 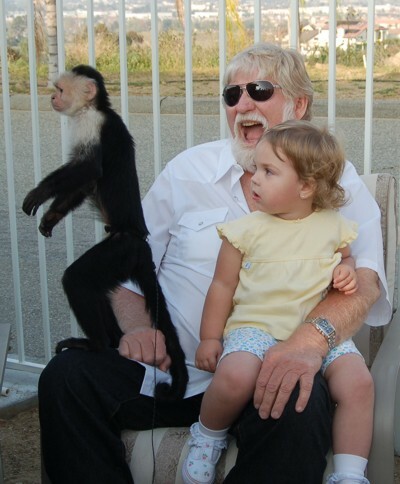 We have monkeys experienced in Events, film and television production and live stage shows. Monkeys are perfect to entertain your guests at a party or a tropical theme party or any event. 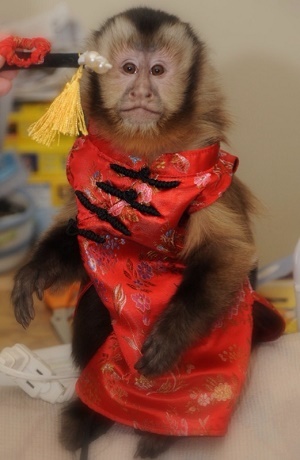 EMAIL for information on hiring a monkey entertainer. EMAIL to contact licensed and insured trainers of exotic animals for your event or film, photo shoot or video production. All the animals are very experienced with all types of events. Our trainers are the most experienced in the entertainment industry having worked on major motion pictures, television shows and national advertising campaigns. We can also save you money and produce your monkey or animal video for you. Monkeys are natural performers and make every appearance a memorable event. Other primates available too except Chimps.